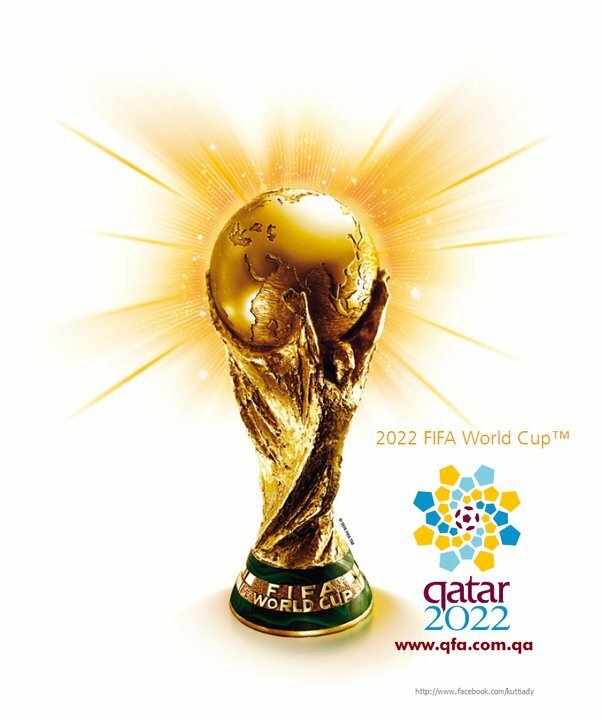 Home Tags Posts tagged with "doha"
A FIFA taskforce has recommended the 2022 World Cup in Qatar should take place in November and December. 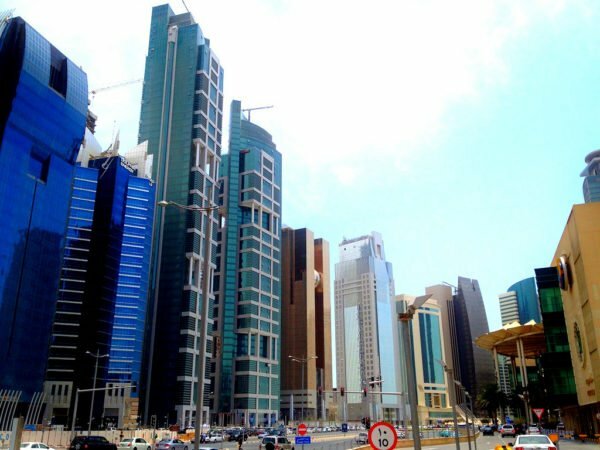 Summer temperatures in Qatar can exceed 40C (104F) while those in November and December drop to around 25C (77F). Today’s recommendation is expected to be ratified by FIFA’s executive committee in Zurich on March 19 and 20. There has already been speculation that the tournament could start on November 26 and end on December 23. The other dates under consideration were May and January-February. FIFA general secretary Jerome Valcke said there were “pros and cons” for all options but said the “one solution” was November and December. Sheikh Salman bin Ebrahim Al-Khalifa added: “We are very pleased that, after careful consideration of the various opinions and detailed discussions with all stakeholders, we have identified what we believe to be the best solution for the 2018-2024 international match calendar and football in general. FIFA vice-president Jim Boyce said moving the World Cup to the winter was a “common sense” decision but that a final on December 23 would be too close to Christmas and the traditional festive matches. Many of Europe’s top leagues wanted an April-May solution to minimize disruption to their domestic programs. There is also the Champions League and Europa League to consider, with group games usually taking place in November and December. However, European governing body UEFA came out in support of the taskforce recommendation. It issued a statement insisting it “sees no major issues in rescheduling its competitions for the 2022/23 season”. African officials agree with the taskforce’s recommendation, despite the fact they will almost certainly have to move the 2023 African Cup of Nations from its January-February slot. Confederation of African Football’s director of communications Junior Binyam said it was backing the proposal “100%”. As for North America, the Major League Soccer season in the United States will be unaffected given it runs from March until the end of October. Average temperatures in November are around 29C (84F), dropping to around 25C (77F) by mid-December, slightly cooler than the 35C (95F) averages in May. Tournament organizers had planned to use air-cooling technology they claimed would lower temperatures within grounds to about 23C (73F). 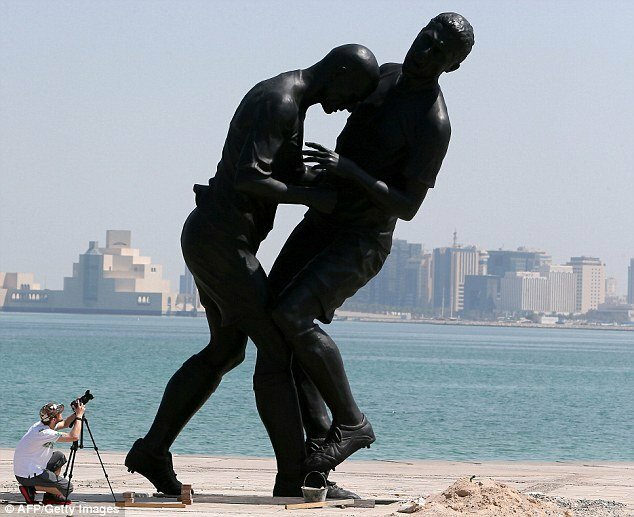 A bronze statue of French footballer Zinedine Zidane’s infamous headbutt has been taken down from the Corniche in Doha, Qatar. The 16 ft sculpture was removed just weeks after being installed, having prompted strong reactions on social media. It generated criticism from religious conservatives who believe it encourages idolatry; others thought it promoted violence or was in bad taste. It portrays Zinedine Zidane headbutting Italy’s Marco Materazzi in the 2006 World Cup. Created by Algerian-born French artist Adel Abdessemed in 2012, it had previously been on show at the Pompidou Centre in Paris. It was bought by the Qatari Museum Authority. Local reports say the statue – known as Coup de Tete or headbutt – is going to be housed along with other works by Abdessemed in the Arab Museum of Modern Art. “It is sad that our youth see in this art and modernity. Our children do not differentiate between the right and the wrong, or the haram [prohibited] and the halal [permissible],” said another tweeter. The statue’s craftsmanship and symbolism were earlier praised as “timeless as Greek mythological works of art” by the Jean-Paul Engelen, director of Public Art at the Qatari Museum Authority.